Is Dentistry the Right Career for You? Knowing what profession to go into can be incredibly challenging. With so many options available, it can be hard to know exactly what route to go down. Here are 5 reasons on why dentistry might be the right career for you. The first factor to consider on whether dentistry is the right career for you is what you want to get out of your profession. Going into the dental field involves working with patient’s day to day and helping make a positive difference in their lives. Providing efficient care and practice to patients can give you the job satisfaction you need and help boost your self-esteem and confidence. Restoring a patient’s oral health or getting rid of their pain can give you a sense of pride and ensure you enjoy your work. Going into dentistry can give you flexibility regarding where you work and how many hours you work each week. There are several types of career and practice options available which can help practitioners decide on what sort of lifestyle to lead to help fit around their career. The type of dentistry role you go into can also mean you may have the option of working in a few practices as well as working part or full time. Another factor to consider is your annual salary. With a variety of roles in dentistry, your salary will differ, so it is important that you research into how much you could earn from the route you want to go into. Dentistry positions require great skill, knowledge and thorough training which gives you the ability to earn a healthy salary. 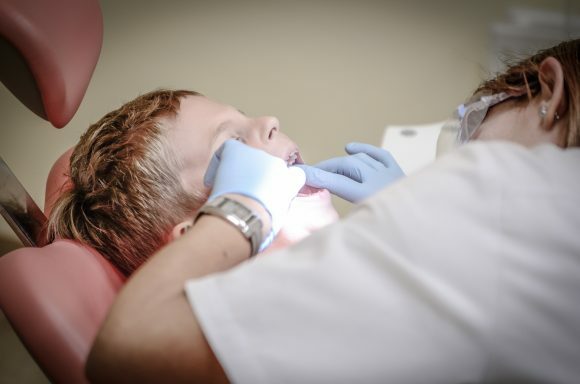 If a dental assistant is the right choice for you, make sure that you look at the best dental assistant schools in your area. The dentistry profession can offer you the job security and stability you need. With an above average job growth for dentistry and an increase in dental practices, the field can offer you the reassurance and confidence you need to go into dentistry as a career. There are many benefits that may be available to you should you enter the dentistry profession such as paid sick leave and medical insurance. If you enjoy working as part of a team, a career in dentistry could be the right option for you. The patient’s welfare and treatment are top priority, so it is important that you work well as a team to ensure you deliver the best care possible. Maintaining a professional approach to your work will help you be successful in your field. Also, having a level of empathy and understanding can help reassure patients, ensuring you deliver the best quality of care possible. If you need more information on whether the dentistry route is right for you, make sure that you look at relevant websites online that can give you a clearer understanding on the skills and qualifications you will need to help you enter a dentistry profession.